Women veterans leaving the military face one of their biggest challenges yet: finding a career. Transitioning to civilian life is a huge adjustment and many female veterans struggle with the switch. Female veterans face higher unemployment rates than male veterans and female non-veterans, according to 2017 data from the Bureau of Labor Statistics. 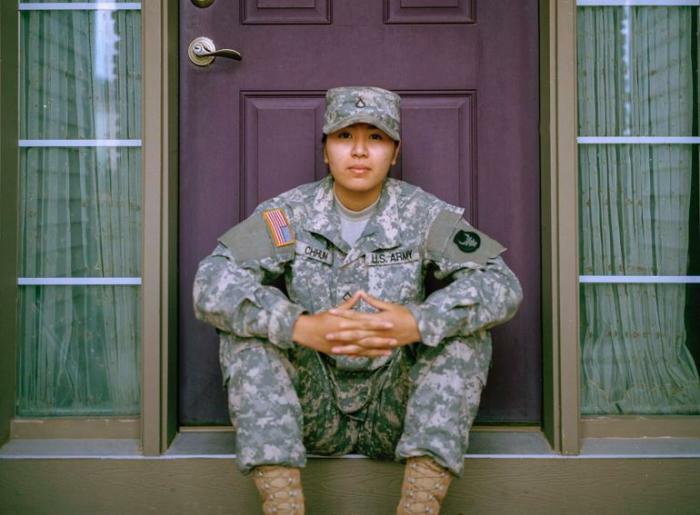 Among female veterans aged 25 to 34, the unemployment rate is a shocking 8 percent. Why are women veterans having so much difficulty finding work after military service? It’s not because they lack the skills to succeed in the civilian workforce. Rather, female veterans often lack the career confidence possessed by their male peers. And since women don’t match the stereotype of what a veteran looks like, potential employers don’t ascribe the same leadership skills to female veterans as they do to male veterans. That means women need to sell their skills twice as hard to land the job. Unfortunately, as Task and Purpose points out, female vets tend to underplay their accomplishments instead of highlighting them. So how can female vets overcome their hesitancy and find career success? These are the steps to take. Veterans shouldn’t wait until their military career is nearly over to start thinking about the next opportunity. Veterans should start working with the Department of Defense’s Transition Assistance Program as soon as they’re considering departure from the service. TAP helps veterans assess their career readiness, interests, and skills to prepare for a job search. Veterans should also think about using their G.I. Bill to attain certifications or degrees that will strengthen their candidacy for civilian jobs. Once a veteran has identified career fields she’s interested in, reviewing job postings for common qualifications will reveal which degrees and certifications are in high demand. Veterans have a lot of technical skills from their time in the service. Unfortunately, those hard skills tend to have little relevance in the civilian world. However, veterans can still land lucrative mid-level jobs thanks to the strong soft skills gained in the military. The problem? Veterans have trouble articulating exactly what those skills are. Many vets have strong talents in leadership, drive, and communication thanks to their military career. Veterans should list their transferable skills along with the experiences and achievements that reflect them. Remember: It’s not enough to tell about experiences. Successful job-seekers know how to sell their experience by highlighting specific accomplishments. Resumes and cover letters are one part content and one part visual appeal. To hit both checkmarks, job hunters should dig deep into job postings to find the most relevant keywords and skills for their future career and use templates to create an attractive, streamlined resume. The interview can make or break a vet’s job hunt. There’s no recipe for a perfect interview, but finding companies with the right cultural fit and reading up on interview advice helps candidates make a strong impression. Most employers screen candidate’s social media as part of the screening process, so it’s critical that veterans have a professional online reputation. Job-seekers should also consider what other information about them can be found online. If a female veteran has been victim of defamatory or illegal content posted online, it’s important to work with an attorney and an online analysis team to determine where the harmful content is coming from and try to have it removed. Many female veterans struggle with their career search because they have a spouse who is still in the military, making living arrangements unpredictable, or because they need a job that lets them balance work and parenthood. When traditional employment isn’t offering the flexibility veterans need, starting a home-based business is a viable option. The rise of online businesses such as ecommerce businesses based in drop shipping have eliminated the need for a home base. With an internet connection, strong tech and customer service skills, plus a drive to succeed, female vets can run an online business from anywhere. Leaving the military to enter the civilian workforce is a step into the unknown for many veterans. It’s also an exciting opportunity to grow skills and pursue interests. With lots of preparation and a healthy dose of confidence, female veterans can overcome employment challenges to find successful careers.